More Of The Veterans, Please! The BHA are constantly looking for ideas to bring people racing but it seems to me, during the winter at least, one of the answers is right there in front of them! 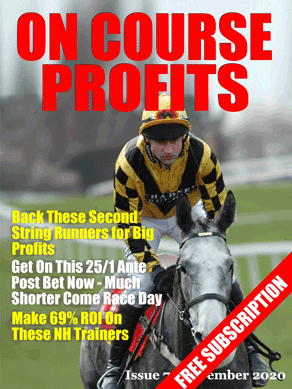 More on that, plus today's selection from Lingfield, are all on the main piece. In a day and age where racing’s executives are looking for the “next big thing” to get customers onto racecourses – is it more concerts, reality stars signing autographs or apres-racing parties that they want? – it seems to me that one of the answers is staring them in the face. You only have to look at the response on Twitter after Saturday’s wonderful Veterans Chase to see that racing folk really, really love these events. To see an old friend like Houblon Des Obeaux come back to form and put them to the sword like that was a joy to watch and whether you’d backed him or not, it was something you could get behind and enjoy. So why not put on a day of these Veterans chases? You’re not telling me a day of them wouldn’t go down well? Don’t forget – you can have Veteran hurdles events as well – I believe Newbury staged one last year for those aged 8 and above – so you can mix and match to give a bit of variety. Four chases (for all horses of varying abilities and different trips, not every chase has to be a 3m 0-140) and two hurdles events to make a great card? It can surely be done. Punters like these events as the form is there for all to see. Nothing is hidden, you know exactly what the horses are capable of and what their optimum conditions are. Bookmakers, both on and off course, lap these events up – what’s better than a day chock-full of competitive handicaps for them? You’d not be short of sponsorship, that’s for sure! Make it happen, racing execs…. Now, on to today and I have written up the Lingfield card for the Sporting Life website today, so if you're looking for a full rundown of the card, that's the place to go. To be fair, the market pretty much agrees with my assessment of the first four but we do differ on the last couple and maybe there's a bit of value in old Indian Affair in the 3.05. He'll have to be an e/w bet, given that Milton Bradley is on the cold list, but he has a bit going for him in a race that lacks any early pace. From stall 1 I'd hope that Robert Winston (who takes over from a 7lb claimer) can get him prominent and ride him through his flat spot mid-race before coming home strongly again. Well handicapped and conditions fine. A few books are going 4 places, so I'm having an e/w bet with one of them. There will be a couple of Colossusses up around 10 as well, for those that wish to join in.